How many plants are unique to South Australia? The answer is 418 … at present. 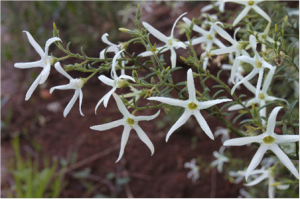 A recent review by State Herbarium botanist Peter Lang reveals that South Australia currently has 418 endemic vascular plant taxa (species, subspecies & varieties): these are native plants that occur naturally nowhere else. Some have a relatively wide distribution that happens to be contained within the State borders, but most are restricted to smaller areas. 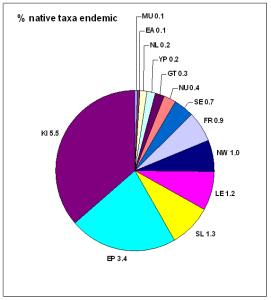 The number of such endemic taxa changes as new species are described and our knowledge of plant distributions improves. 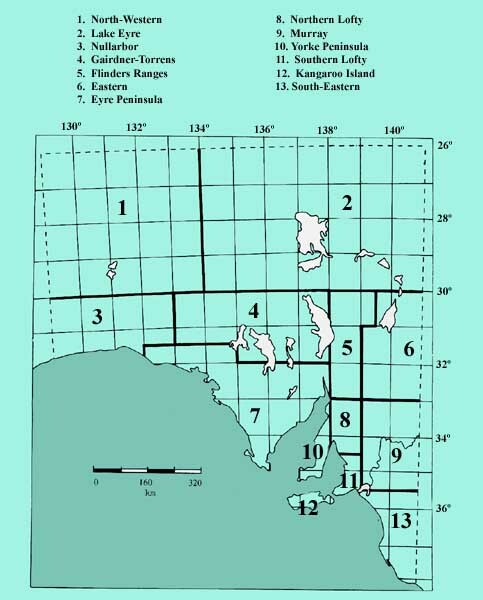 A similar question may be posed for each of the 13 botanical regions (as used by the State Herbarium of South Australia). The chart shows the percentage for taxa that are confined to a single botanical region only. Two regions, Kangaroo Island (KI) and Eyre Peninsula (EP), stand out as having the highest percentage of regionally endemic plants. The presence of mountain ranges and restricted habitats, as well as isolation by sea levels both past and present, appear to promote the development of locally endemic flora. 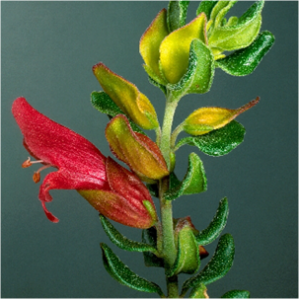 Pictured are examples of two South Australian endemic plants: Anthocercis angustifolia, endemic to the Mt Lofty and Flinders Ranges, and Prostanthera calycina (West Coast Mintbush), endemic to western Eyre Peninsula. This entry was posted in News on 14 March, 2014 by Jürgen.